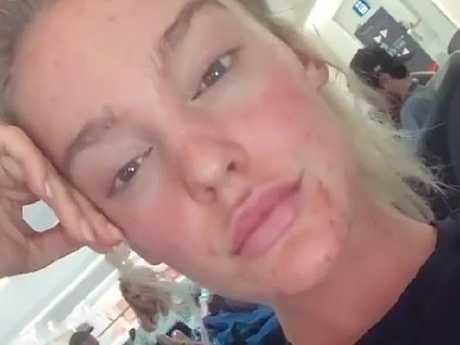 Georgia Gibbs has opened up about her struggle with acne. Picture: Tim Hunter. With more than 617k Instagram followers, a hugely successful international modelling career, countless sponsorship deals, and thousands of YouTube subscribers, it's hard to believe Georgia Gibbs was ever anything but perfect. 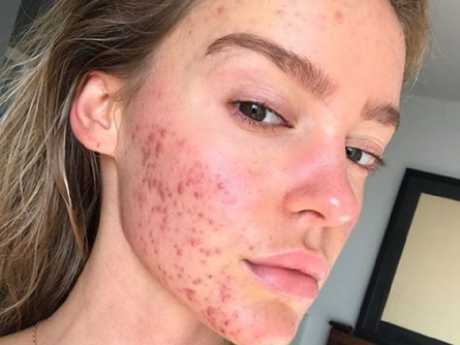 But the model has opened up about her struggle with acne so severe it scared people on the street, and kept her "trapped" inside her own home for days at a time. The 23-year-old model from Perth developed severe acne across her face after a bout of illness last year that led to surgery and eight courses of strong antibiotics. The illness wiped out Georgia's immune system and sparked a bout of "full blown acne" within just 30 days. "I was always known as the model with flawless, clear skin, and suddenly, I was plagued with a face of severe, red, painful, itchy acne," she said. People around her were confused. Strangers on the street would stare, so she stayed in her house. "It stopped me seeing my family and friends, it was so isolating," she said. "I felt trapped in my own home." Months earlier, Georgia's star was on the rise after she graced the pages of the Sports Illustrated swimsuit edition. Georgia Gibbs made the pages of Sports Illustrated in 2018. Prior to this, she co-founded a body positivity movement, known as AnyBody Co, with her former business partner, plus-size model Kate Wasley. The friends, who wore a size 6 and 16, respectively, used their platform to encourage more than 250,000 women to love their bodies and embrace their imperfections. But Georgia told news.com.au when her acne struck, she forgot to practice what she had preached. Georgia Gibbs and Kate Wasley have since parted ways but the AnyBody Co account is still active. Living between Melbourne and Los Angeles, and working non-stop, Georgia was at the peak of her career - but it didn't last long. She was diagnosed with chronic fatigue at the same time as a close family member became seriously ill early last year. 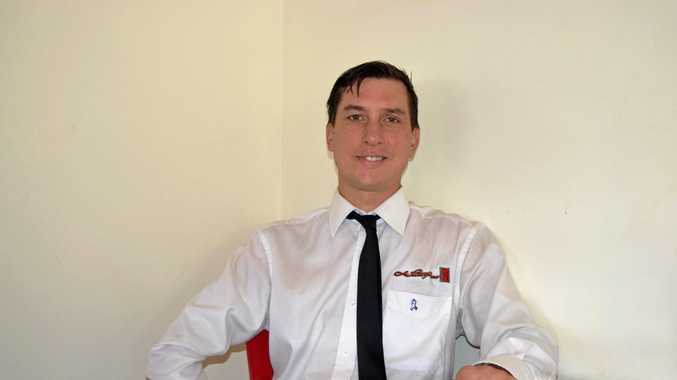 "I also separated from my partner, so I was under a lot of stress. But instead of looking after myself, I just kept working," she said. In May, the model underwent stomach surgery, but developed a serious infection in her wound and was diagnosed with a range of conditions, from leaky gut and irritable bowel syndrome to a fungal infection throughout her body. "Being so sick destroyed my mental health, and I really struggled to pull myself out of that depression," she said. Soon, her illness began to show on the outside, with her face breaking out in deep, red pimples. As someone who relied on her face to draw an income, life can get pretty dire when your sole money maker lets you down. "I had to cancel a lot of jobs and ended up missing out on three months' worth of work," she said. For almost two months, Georgia barely left her house. She says her acne beat her down completely, leaving her in a constant state of depression. "My face was so painful, and because the acne came on so fast, I would go somewhere and people would say, 'Woah! What happened to your face?'. That was so upsetting," she said. "So I just stayed indoors." She started a course of Chinese medicinal treatment in August in an attempt to cure her acne. Five months later, her skin is on the mend. "I felt like a massive weight had been lifted off my shoulders and I began to feel like myself again," she said. Since her recovery, Georgia has posted a video about her experience and shared photos showing just how quickly her skin's health deteriorated. Posting the confronting photos, the influencer told her fans that "models aren't perfect". Georgia used her time off to work on a new project that launched last month. Georgia has just launched JOY, a website and smartphone app offering women with nutrition plans, 30-minute workouts, and mindfulness and yoga guides. "The competitive nature of Instagram and modelling made me sick, but if you don't have your health, you have nothing," she said. "I want women to listen to their bodies and start putting themselves first." The 23-year-old model was shooting campaigns across the world for famous labels.